February 2015 scared some people who were looking into the idea of buying a home or refinancing an existing home loan. Slight rises in interest after a long period of decline made some think the best chances of a good interest rate had passed, and the new economic atmosphere would cause an increase in rates. Thankfully, the February phenomenon looks like it was just a blip on the radar of improved mortgage loan rates. A new run of falling interest is making up for the brief rise caused by the February turn, and interest rates are back down, well below 4% making home loans affordable for people wanting to buy a new home or get better terms on a current mortgage. Mortgage insurer Freddie Mac reports 30 year conventional mortgages showing a national average of 3.75%. That’s 78 points, or 0.78%, lower than it was just a year ago at the same time and only on standard, conventional bank loans. FHA and VA loan programs offer even better rates. All of the current reported rates mark a new historic low for mortgage interest. Rates are down even more on 15 year loans of all types. Conventional mortgages from lenders are showing an average of 3.03% across the country. These shorter loans have always been popular with buyers due to the overall savings on interest. The new rates make these loans even more appealing. The great rates available now make this the perfect time for new and existing home owners to finance a mortgage. The interest rates across the board are solidly in the 3% range and don’t show any signs of rising in the near future. Freddie Mac is one of the leading mortgage backers. Every week they produce a report of combined statistics from a survey of over 100 banks across the country. The figures show the current “market mortgage rate” that is available to borrowers with the best profile, known as prime borrowers, and what lenders are charging for discount points to obtain the best rates. The current survey from Freddie Mac shows a recent 30 year fixed rate conventional home loan interest of 3.75%. The rate for 15 year standard mortgages is 3.03%. These low rates require prime borrowers to pay 0.6 discount points at the time of closing. A single discount point is equal to 1% of the total loan size. These figures mark a ¾ drop of percentage in just a few months. The new low mortgage rates has created a boom period in the American real estate market which has suffered over the last decade due to several economic conditions. Thanks to these new low rates, home buyers can afford to buy homes with higher values, which also increases the value of housing in today’s market. Compared to last year’s figures, buyers who could afford to purchase a home costing $400,000, now in 2015 can afford a home valued at $440,000. Buyers who qualify for VA loans or special FHA programs have an even greater advantage thanks to even lower interest rates. Standard rates for FHA loan programs are 1/4% less than conventional loans issued by Fannie Mae and Freddie Mac. VA and USDA rural loan programs have an even greater value with rates that are 0.375% lower. In addition, these programs also often have fewer closing costs and fees in relation to their conventional cousins. 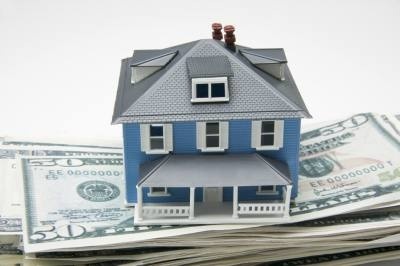 IS IT THE RIGHT TIME FOR YOU TO REFINANCE YOUR HOME? Home owners can also take advantage of the new low rates offered by conventional lenders and Federal programs. The standard mortgage rates have dropped regularly for 2/3s of the year so far. Because of the falling interest, millions of Americans now qualify for the savings available from refinancing their loans. Many have already taken advantage of the current loan atmosphere, but quite a few have not. One of the reasons some home owners have failed to grasp the potential savings available to them is a common misconception regarding the difficulty of obtaining a home loan. Better rates and new, relaxed requirements for mortgages show that those misconceptions are not accurate. Home owners with existing FHA or VA loans can also take advantage of the FHA and VA Streamline loan programs. These programs have been revamped to make them even more accessible and many home owners may find that they are now eligible for these easy access loans when they were not available to them before. The respective Streamline loan programs from both the FHA and VA also have always had minimum savings requirements that were difficult to qualify for in the past with lower home values. New low interest rates and better home values are making those programs available to more home owners today. The constantly falling interest rates have created a dangerous scenario for some eager home owners. There is a tendency to think that it is possible to game the system and wait for even better rates. The desire to “time the market” to attempt to grab onto the lowest possible rate is understandable, but waiting too long can end up meaning missing the very best opportunities. Rates change quickly and frequently. It is nearly impossible to know what the true bottom is, even for seasoned economists. It is entirely likely that by the time a hopeful buyer actually sees the bottom, it is over and rates will begin to rebound before they can lock them in. Instead of trying to game the market and time things perfectly, home owners can use a different approach to get the best rates. There is a way to take advantage of today’s low rates and lower risk and the chances of losing out on rates that will save you money. Savvy home buyers will look for zero-cost financing and refinancing options. Zero cost means no closing costs. Anyone who has bought a home knows that closing costs can end up being in the thousands, even tens of thousands of dollars. Finding home loan options that eliminate those costs can easily equal the savings of waiting and hoping for a lower interest rate, especially when rates are already so low there isn’t too much further for them to go. One drawback to the zero-cost mortgage option is that they often require a slightly higher than average interest rate, but the difference is very small. Buyers can also pay a little more in discount points to pay off that difference in interest if they can afford to do it at the start of the mortgage. Most lenders in the U.S. offer excellent zero-cost home mortgages as a standard option.